At Backyard Living we believe that your outdoor space should be sophisticated, fun, and functional. 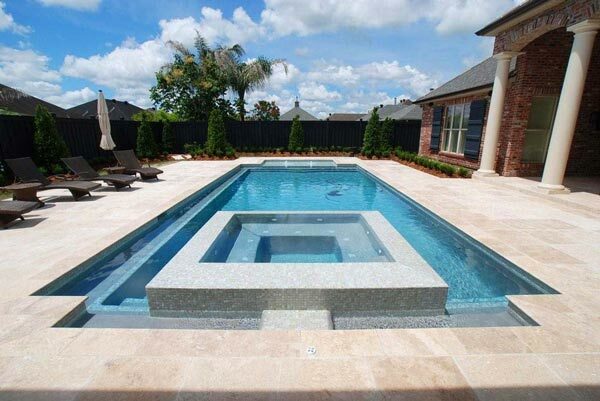 A custom swimming pool design makes sure that your pool is just as unique as your New Orleans home. 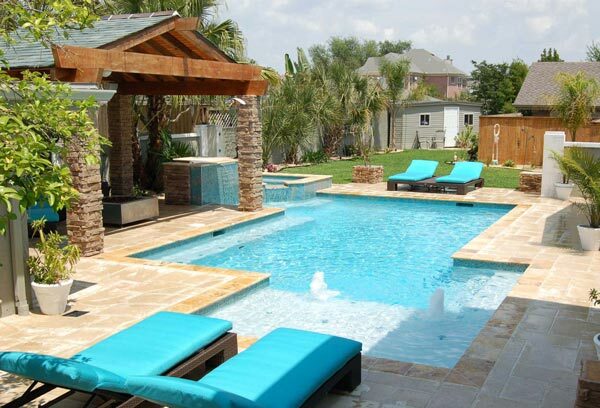 From geometric styles to beachy beauties we can create a custom pool to suit any style. We know that building an in-ground pool in New Orleans comes with its own challenges. 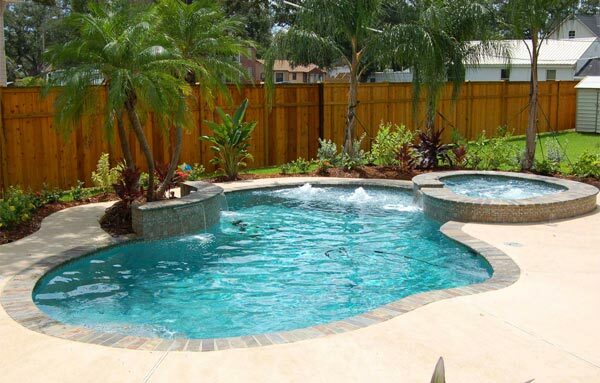 With over 20 years of experience right here in the Crescent City, we know how to work with the challenges to make sure you get the perfect pool, no matter what. To build your pool we use only the best quality materials. This ensures the luxurious finish of all our pools, as well as extends the life of your pool. We work with top manufacturers and give you nearly endless options for styling tiles, decking, and your pool furniture. What kind of pools can you create? 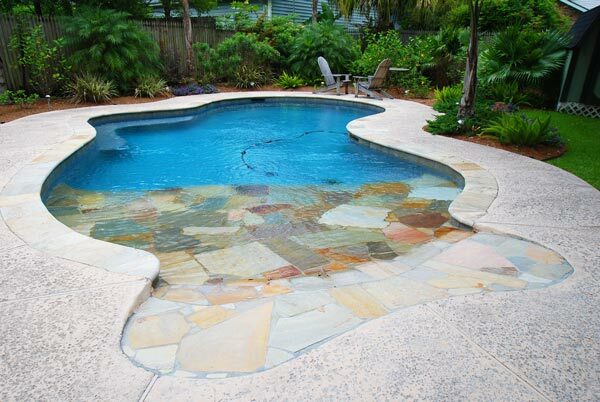 We can create any custom swimming pool to your taste. We have extensive experience in crafting unique geometric, lagoon, freeform, beach-style, vanishing edge, Roman, and Grecian style pools and spas. 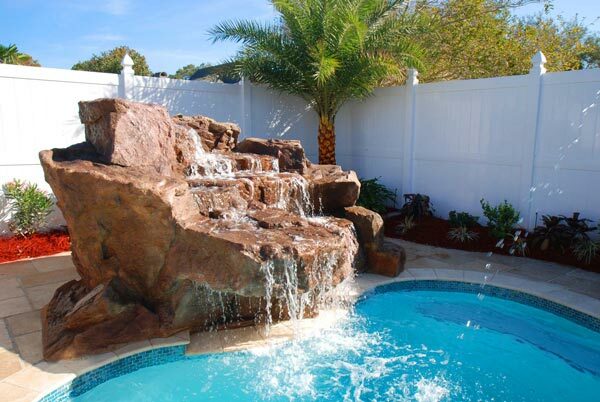 We work with you to create the perfect pool for your needs. Creating a custom pool is an exciting process! We start with a quick chat to make sure we are a good fit for your dream pool. After that we come over for a complimentary site visit. Here we take some measurements of your space, talk about your wants and needs, and about your backyard lifestyle. From there we create a 3D render of your space and the proposed pool. After the design is complete, agreed upon, and the contracts are signed, then we can work on getting the proper permits for the pool. When we obtain the permits we can start construction. After construction, we clear away any mess, walk you through a pool start-up consultation, then you can start swimming! What does the construction process look like? When we have the proper permits we can begin construction. We start by making sure we won’t be digging into any power lines or other underground infrastructure. Next, we work on the layout and setting the grades of the backyard. Digging the pool only takes 8 hours, after which we haul off the mud. With the pool dug we can then set in the limestone foundation, rebar, and gunite to create the base for the pool. Then we work on plumbing, tiling and decking. At this point we can start filling the pool, and work with you on the pool upkeep process. The construction of your pool takes three to four weeks. The entire process takes eight weeks from start to swim! How do I know you’re a quality builder? 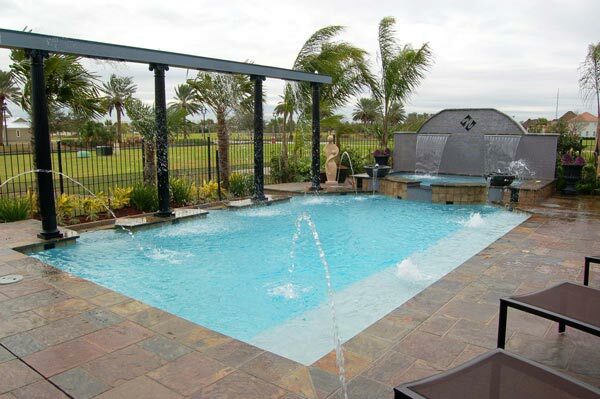 We have an A+ rating with the Better Business Bureau, we’ve been in the luxury pool business for over 20 years, and Owner Pepper Tregre is always on site for critical steps like the pool layout. How much does a custom swimming pool cost? Each pool is completely unique. Everything from choosing your decking, pool automation, adding a relaxing spa changes the value of your pool. We help you build a backyard to suit your lifestyle. Prices for the whole process can vary from 60-200K.